Let's make your Bangkok trip count! We are going to experience famous local hidden food stores, and explore the old town such as Grand Palace & Wat Pra Keaw, Wat Pho, Wat Arun, Golden Mount, etc. Taking boat from Saphan Taksin station to our first sight, "Wat Arun" which is known as The temple of dawn. Crossing the Chao Phraya River by the crossing ferry to Wat Pho, the temple of reclining Budhha. Continue our journey on foot to visit the Grand Palace & Wat Pra Kaew or the temple of Emerald Buddha which is the holiest monastery for Buddhism in Bangkok. Continue walking to the hidden monk market located in an alley, "Trok Maha That"
Continue to Tha Maharaj, the cafe area where we can have a break from the long hot day. Crossing the river to Wang Lang Market, we will walk through the little alley, enjoy the street food along the way, to the temple of bell, "Wat Rakang Kositaram"
End of the trip. Taking boat back to Sapahan Taksin Station. 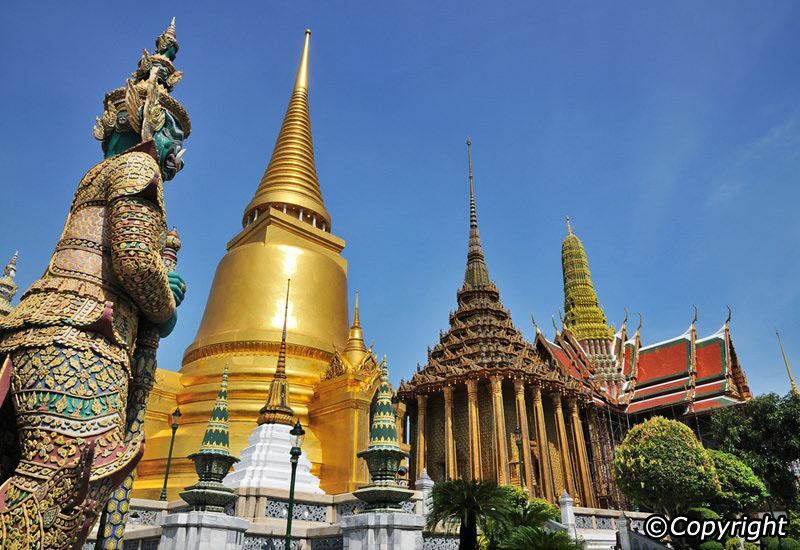 We are going to explore all the must-visit temples in the old town of Bangkok including Grand Palace, Wat Pho, Wat Arun, and Wat Rakang Kositaram. Moreover, we will also stop by the local hidden markets along the way for lunch and street food. Please do not wear sleeveless & shorts as temples (wat) in Bangkok area are quite strict. Be prepared of the hot day, bring a cap and an umbrella just in case. Fantastic knowledge, very friendly, excellent tour. Thoroughly enjoyed our day tour. Thank you. This trip was so fun, it felt like you were touring with an old friend. She knows all the places to park and enter so that you aren’t having to wait in a line. She is very knowledgeable about history and local experiences. She even helped plan the rest of my trip. I was very impressed by here driving as well. Thanks for a WONDERFUL tour!!!!! !